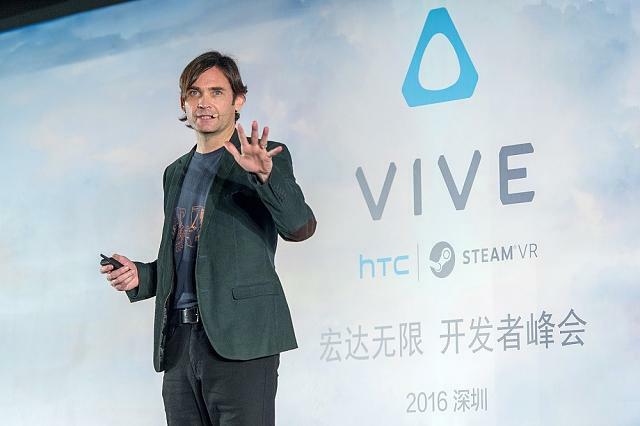 Today, HTC is announcing the launch of its newest subsidiary: Vive Studios. This brand new content publisher will work to facilitate and release new, high-quality content for the titular HTC Vive virtual reality headset. The company has appointed its VP of Content, Joel Breton, as head of this new operation. Vive Studios is launching its first game today as well: Arcade Saga. According to HTC, Vive Studios will bring to market VR content created by HTCs internal studios as well as through publishing partnerships with external developers. Vive Studios will use a publishing model similar to console games, where the label will produce first-party content through internal developers, such as 2 Bears, as well as partner with external developers. For external developers, Vive Studios is now a partner they can turn to for development funding as well as publishing and marketing support on VR content. Vive Studios is actively creating content across key categories for VR including games, education, cinematic, design, social, real-estate and sports, as well as tools and applications that can revolutionize areas such as media, retail, healthcare and location-based entertainment centers and arcades. UploadVR had the chance to speak with Breton at the Vive X offices in San Francisco, California. Breton confirmed that the goal of Vive Studios is to partner with both internal and external studios in order to create great showcases for room-scale VR. Breton explained that, like any other publisher, Vive Studios will recieve a portion of the revenue generated by each of its partner games. I dont want to put any restrictions on numbers when it comes to the amounts were going to offer these studios. It will be a very flexible model. This is a response to the opportunity we feel currently exists around VR. The VR ecosystem needs support and we want to come in and throw our muscle around where it can do the most good. Games and experiences produced by Oculus Studios are also notable in that they only work on Oculus Hardware. When asked if Vive Studios games would also work on Oculus hardware Breton responded by saying, We arent announcing support for the other platforms today. Each piece of content will be released where it makes the most sense. Breton did explain that there will be no direct blocks built into Vive Studios games keeping them tethered to the Vive and that, we believe content should be open and go wherever consumers want to access itwe dont feel that they [Oculus] need to lose for us to win. As far as the type of content Vive Studios is producing, Breton revealed that the focus will be on more than just games. Areas like education, architecture and virtual commerce will be explored as well. All of the experiences, however, according to Breton, will be released on either Steam or Viveport. Its no secret that the Vive has been accused of housing too many shallow pieces of content, blithely referred to by the VR community as tech demos and Breton explained that Vive Studios is meant, at least in part, to address this problem. As far as games are concerned we feel like the Vive already has a good amount of smaller, snackable-sized experiences, Breton said. Through Vive studios we want to create games that are deeper, richer and longer. When it comes to rollout, Breton stated that users can enjoy Vive Studios first game, Arcade Saga, today with more coming in the next several weeks and dozens being released next year. 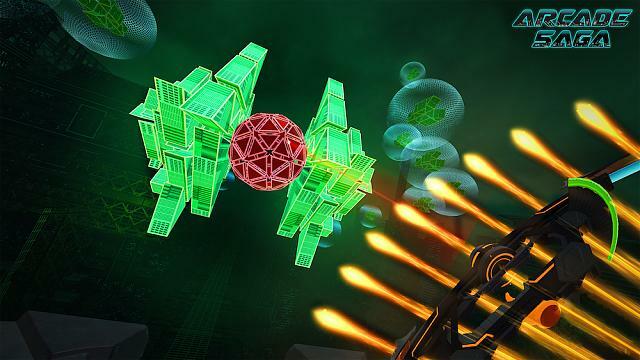 Arcade Saga itself is a collection of three smaller games that each provide a futuristic spin on classic arcade games like Pong and Breakout. The title was developed by Vive Studios first partner developer known as Two Bears. The game was fun, fast and, of course, highly focused on hand controllers and room-scale capabilities. Arcade Saga is available now on Steam. We will be bringing a full hands on review in the coming days. Hopefully they will be able to produce some longer games for the vive that aren't just demos or experiences as oculus seems to be stronger in that sense. Yeah, they will hopefully have fallout sometime in the near future but that still won't be a new story line. 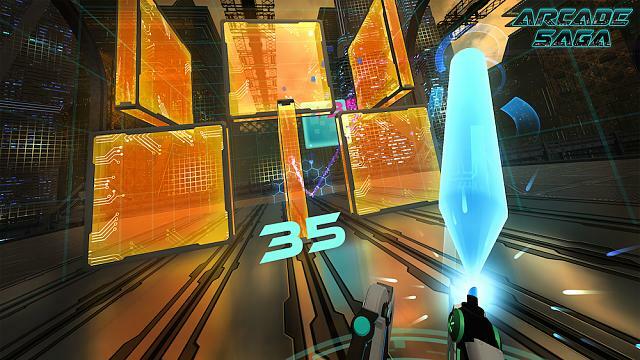 I would be nice to see some full sized games that are made specifically for vr. The main thing stopping this is probably the high investment and the somewhat limited audience base. The issue though is that many people don't want to get into vr because of the lack of full games and their is a lack of full games because of a somewhat small audience. Yeah the limited audience base I think is the biggest issue. You can't really make a AAA VR only game if it reaches only a small market of gamers on a whole. Hopefully the PSVR success will help with that a bit as it creates a larger market of gamers who want something for their $400 investment and it has already outsold both the Vive and the Rift. 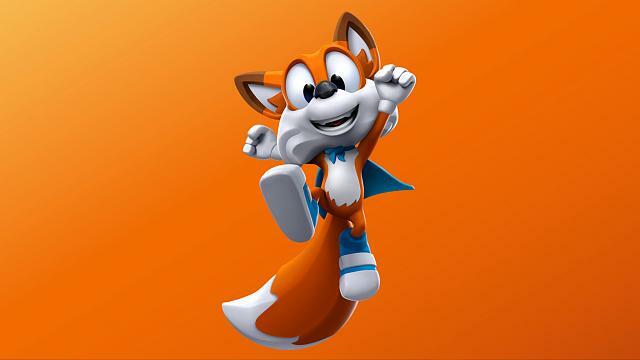 And hopefully that means to engage the largest audience possible there will be cross platform games. Star Trek Bridge Crew VR!